This premium quality milk is really special and reflects a time when food was treated with a little more care. 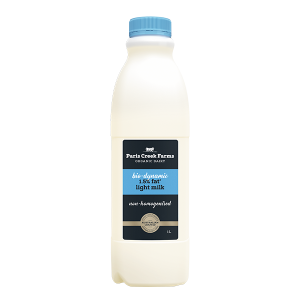 Bio-dynamic cream-rich milk is very carefully pasteurised and is non-homogenised so that the natural cream in the milk forms a thick layer on the top of the milk. Bio-dynamic Cream on Top Milk is produced from South Australian cows that graze on lush bio-dynamic natural pastures, with no genetic modification, no preservatives or anything artificial. 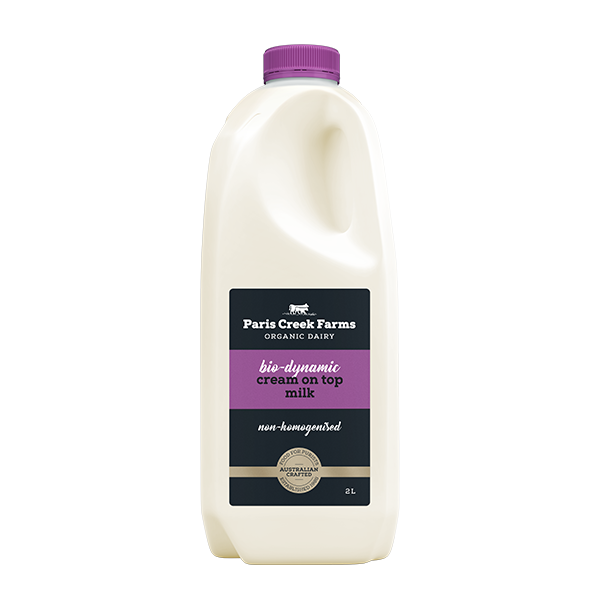 Certified Bio-dynamic Organic Milk. CONTAINS MILK. Non-Homogenised and Pasteurised Cream On Top Milk.